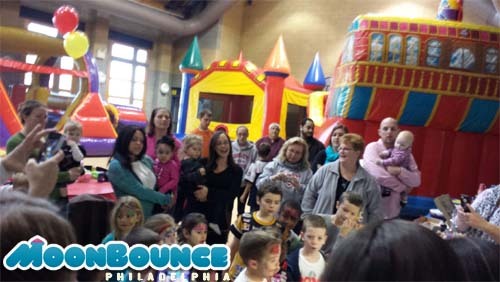 He had How Much Fun? 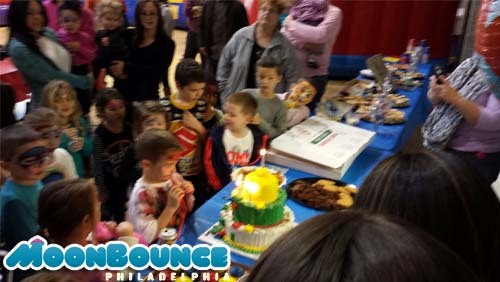 When asked how much fun Eric Joseph had on his 3 birthday, which featured 3 inflatables, a tattoo artist and a t-shirt maker, he replied with 106. 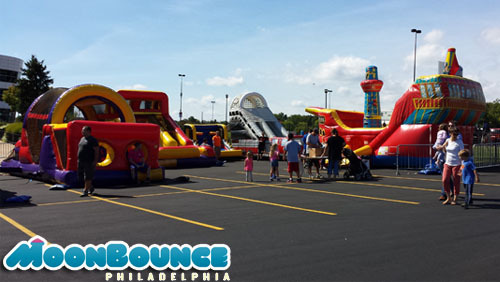 MoonBouncePhiladelphia.com worked hand in hand with the Hero Thrill Show on Saturday, September 21, 2013 at the Wells Fargo Center to benefit children of fallen police and firefighters. 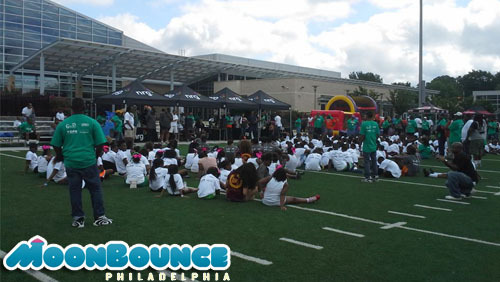 The 59th annual stunt show is performed by the Philadelphia Highway Motorcycle Drill Team comprised of some of the most talented individuals in the world. 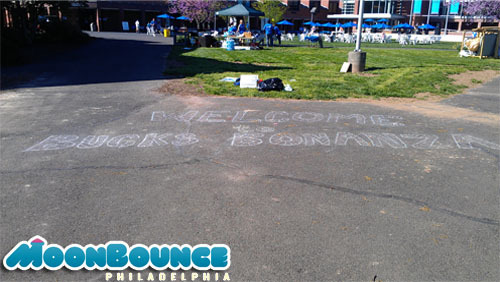 The ticket sales of the thousands of attendees go toward putting 17 current students through colleges across the country. 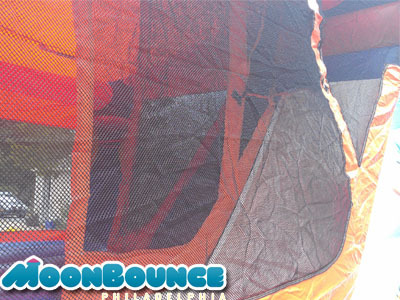 MoonbouncePhiladelphia.com provided only some of the entertainment for the Bucks Bonanza, a community event with food, kids’ activities, music, vendors, and the beautiful campus adjacent to Tyler State Park. 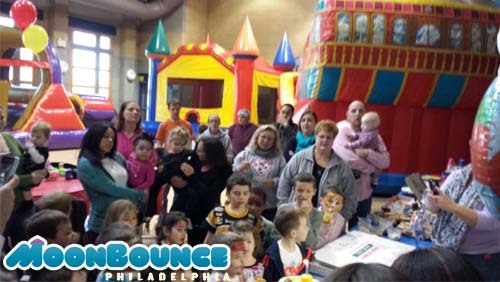 The free admission event will donated proceeds to Children’s Hospital of Philadelphia and was organized by the Bucks County Community College chapter of Students in Free Enterprise (SIFE). 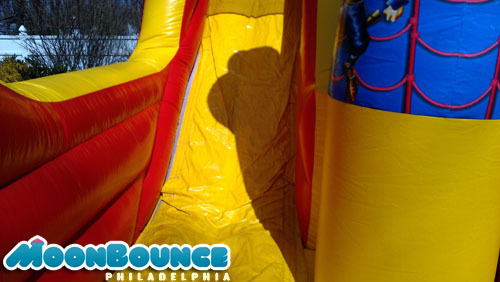 While it wasn’t exactly an Easter Bunny, Bugs came in a close second. 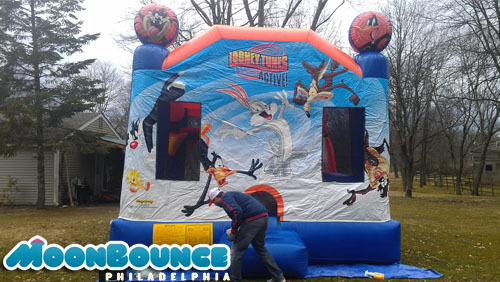 The Loony Toons Combo Unit features a slide, bounce area and basketball hoop and measures roughly 18′ x 16′ x 15′. 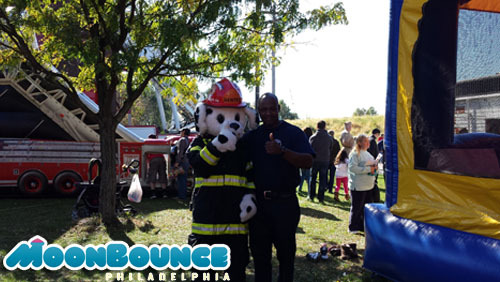 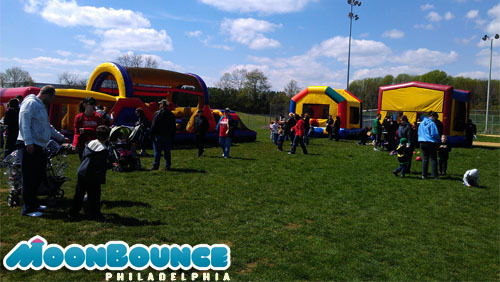 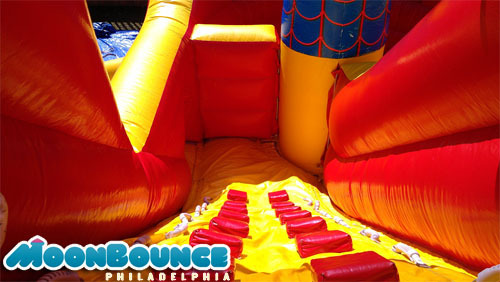 If you are interested in renting this inflatable please fill out our online form or contact us at 267-51-6178.